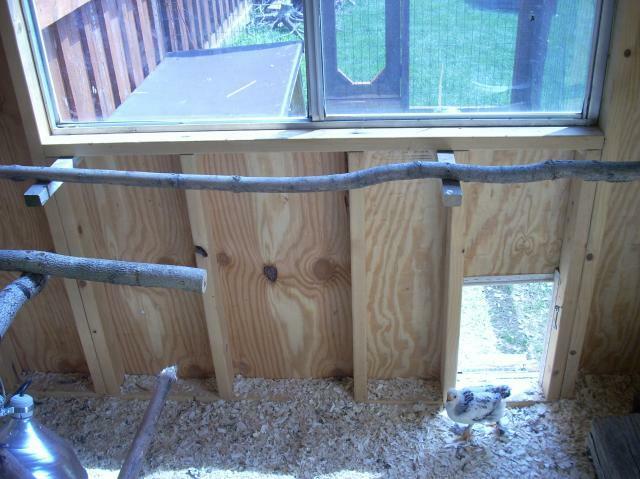 The base of the coop was contructed of recycled fencing and 4X4's . The 4x4's were only 4 ft long so I ended up splicing them together with scrap 2X4's . 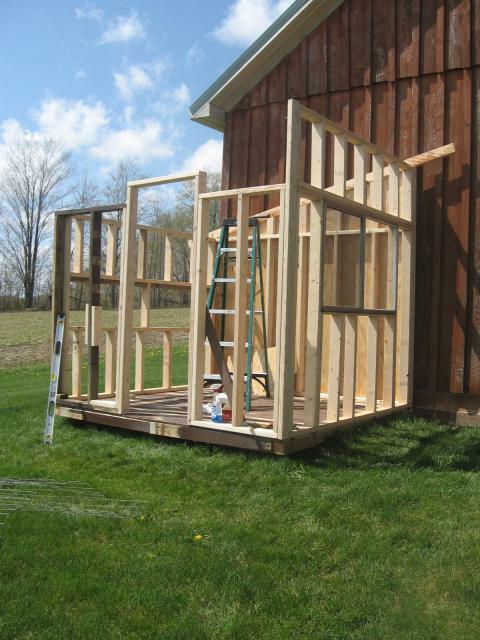 The base frame is about 5 1/2 foot tall. I added 2 more feet on the right side of the picture to produce and angled roof. Outside Shots Completed. My 7 yr old daughter made the little sign of scrap siding. 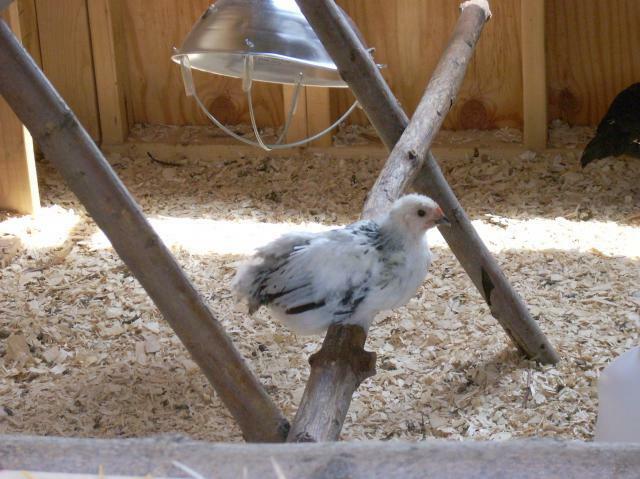 Hence the name Chick En Coop. I put netting over the run starting above the window. 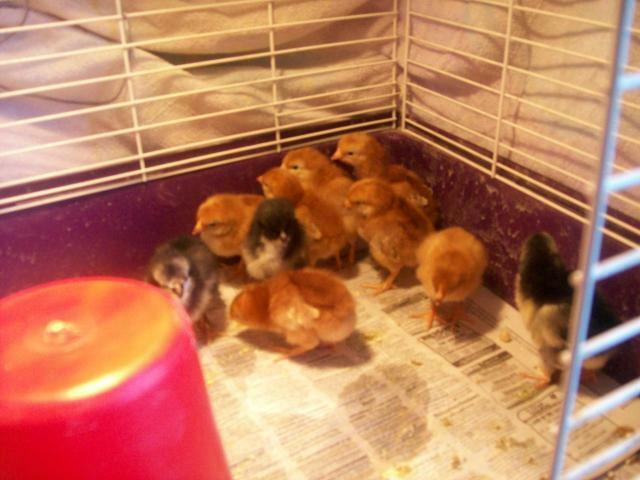 I secure them in the coop at nigh. I wished I made the run twice the size but I was trying to keep cost down. The neighbor donated the metal roofing left over from his garage build. My father in law had stacks of 2/6's covered with a tarp in his backyard that he has had for years. 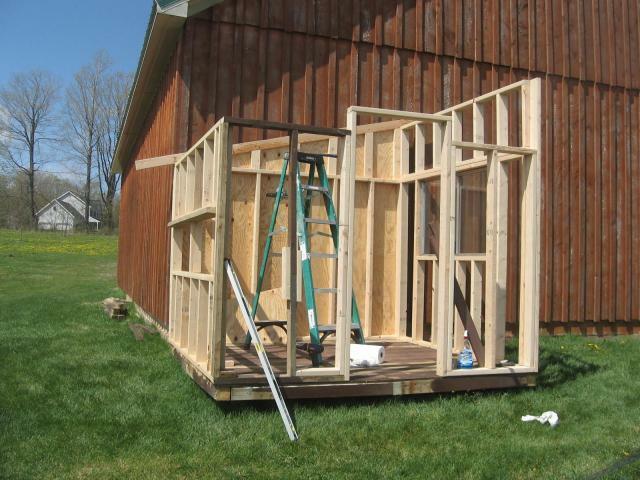 I used the 2x6's for the rafters and to frame out the fence in the run. I used welded wire that was left over from the fruit trees that were planted a few years back. 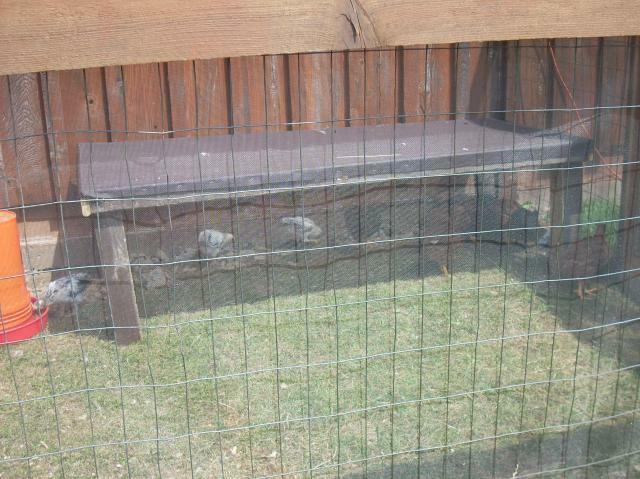 I used leftover window screen that I laid over the welded wire to keep the smaller chicks from walking through the welded wire. 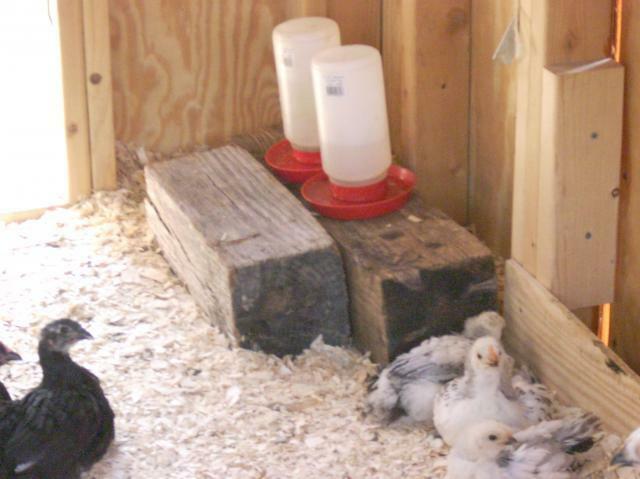 I always secure them in the coop at night so I have minimal protection. 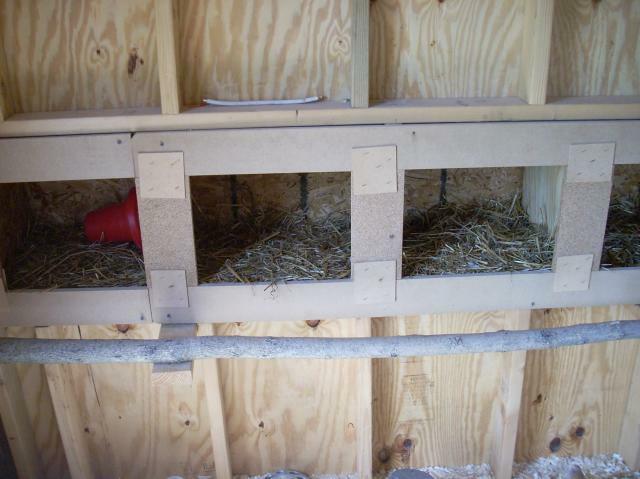 I also built the nesting boxes with access from outside. I made a shade spot out of lefter lumber and some leftover sun-screen I had from a previous project. The run gets a lot of sun during the day and they like laying under it. Of course when it's shady they like playing and pooping on top of it also. 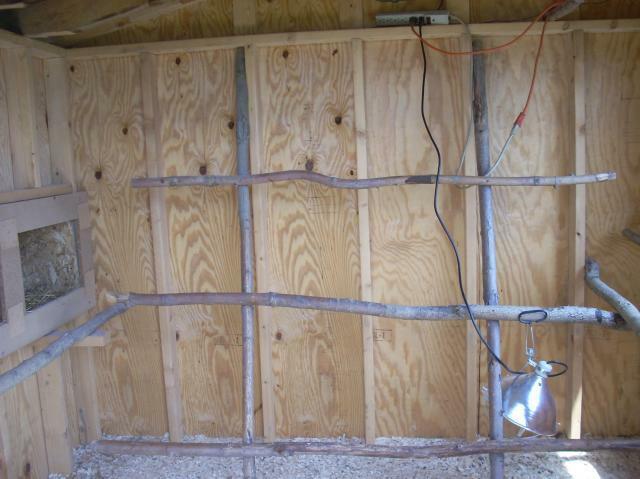 Below is another view of the run with the sun shade The inside view of nesting boxes shown to the right is frame out with wooden pallets from an appliance store. 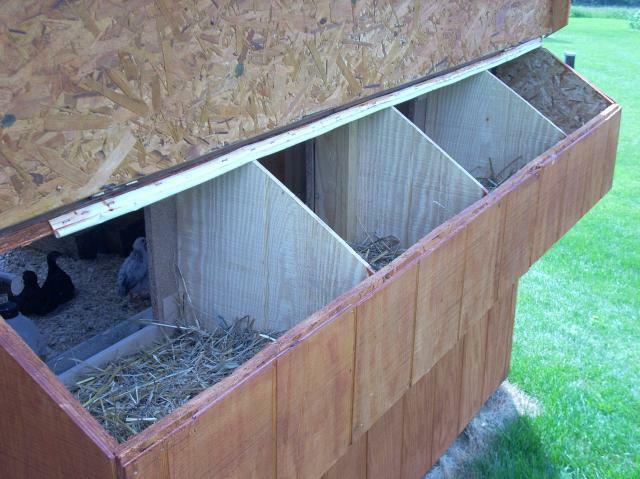 The roosts are all made of local wood I cut on the farm. Above you see my braumas mixing with my first batch that are a couple weeks older. They all love using the roosts at night and most of them sit on the one in front of the window. I have less than $200 in the entire coop and run. Thanks to recycling and thanks to donated leftover stuff from others. Like I said I wish the run was bigger although I do let them free range they have a tendency to hang out on the covered patio on the side of the garage and poo all over it inside of in the grass. Maybe next year I will cover the run with an angle roof. We get quite a bit of snow hear so the run probably won't get much use when it starts to build up. "Nice pics & write up: basic dimensions, materials"
Would have loved to see more progress pics and build info. Awesome coop sign! "The Chicken En Coop Maydens Chicken Coop"
Wish you had included more details on how everything was put together. 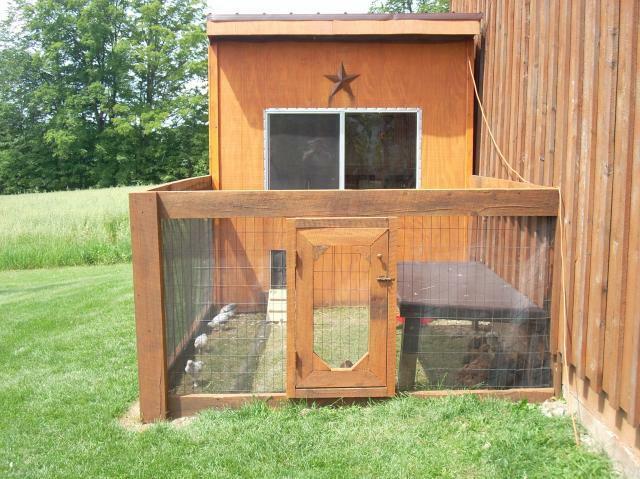 Super cute coop and I love how you placed your roosting bars- I'm stealing this idea!!! 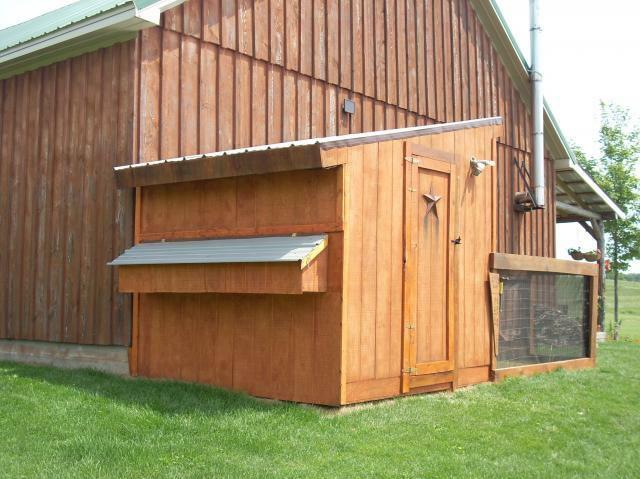 Love the coop! 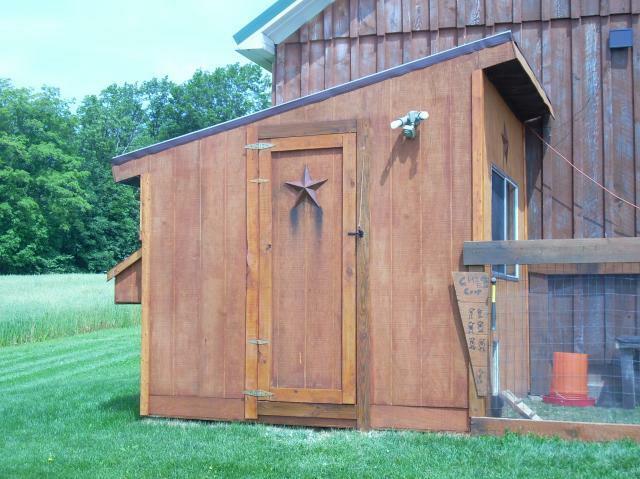 Awesome coop I made mine from recycled wood and tin too! I LOVE the coop! Nicely done! 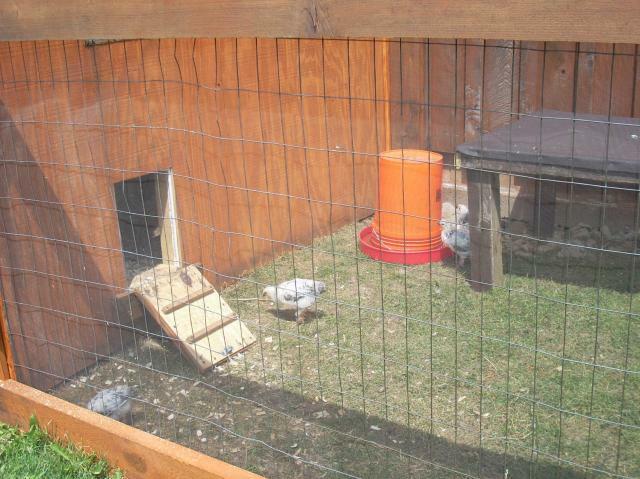 I like seeing coops & runs members make from recycled materials, you did a good job! 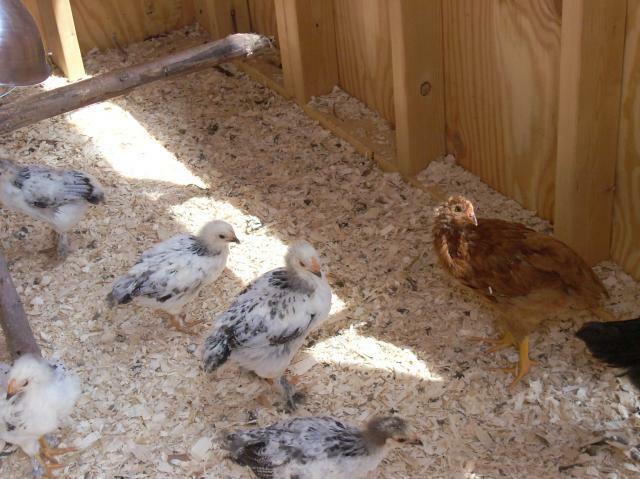 The little white chickens are adorable. 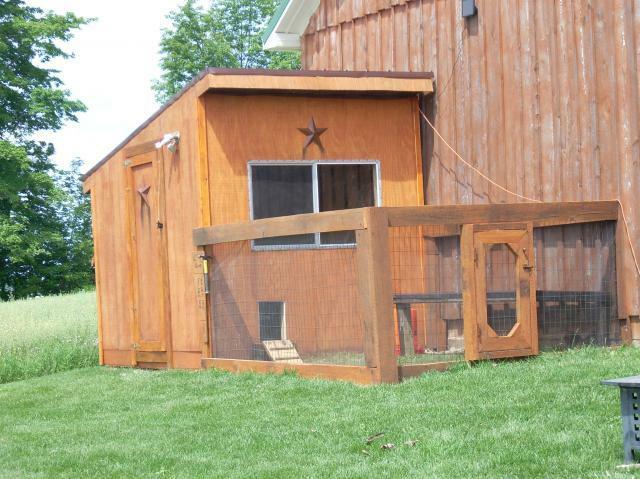 The coop is very nice too! Good job!